West Bloomfield Trail (Pontiac south to W. Bloomfield Township). 6.8 miles ONE-WAY, unpaved between Pontiac and W. Bloomfield. PDF MAP. A good option if you are in the Pontiac/Auburn Hills area. 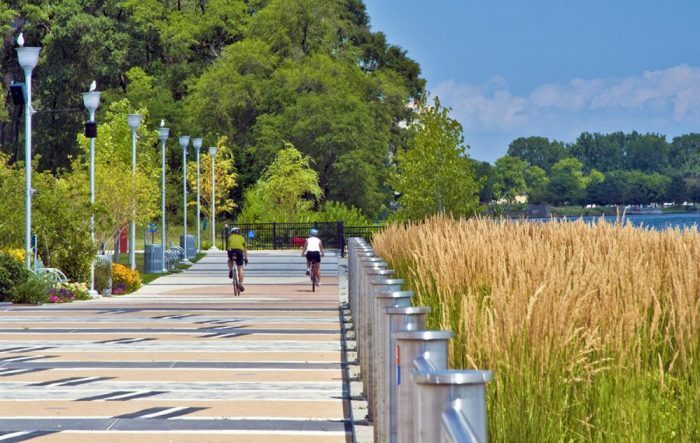 One can start in Pontiac, and head on a mainly unpaved rail trail south through the West Bloomfield township, where the trail ends near the West Bloomfield Nature Preserve. Clinton River Trail. 10.5 miles ONE-WAY between Pontiac and Rochester. PDF MAP. This trail is a 10.5 mile unpaved, between Pontiac and Rochester. From Rochester, there are multiple trail options. Paint Creek Trail. 8.9 miles, ONE-WAY between Rochester and Lake Orion. PDF MAP. 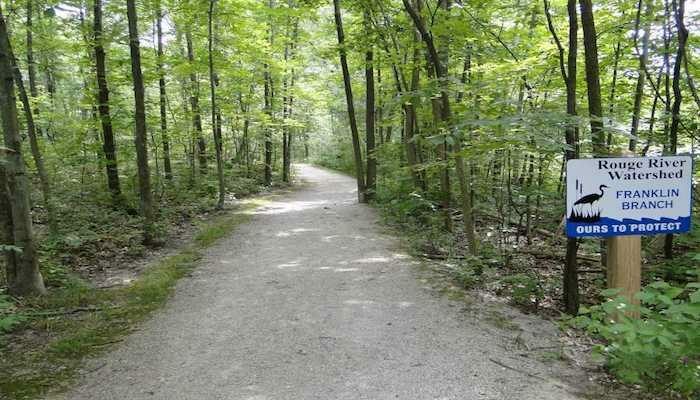 Great linear park trail, 8.9 miles, in the Rochester, MI area. Stony Creek Metropark. A great destination run. There’s a marked 6 mile loop. 38 miles north of downtown and 20 miles from Pontiac. 4,000 acres. Also a 50 acre lake. Toms of trails for running, hiking, mountain biking. Kensington Metropark. About 12 miles west of Novi. 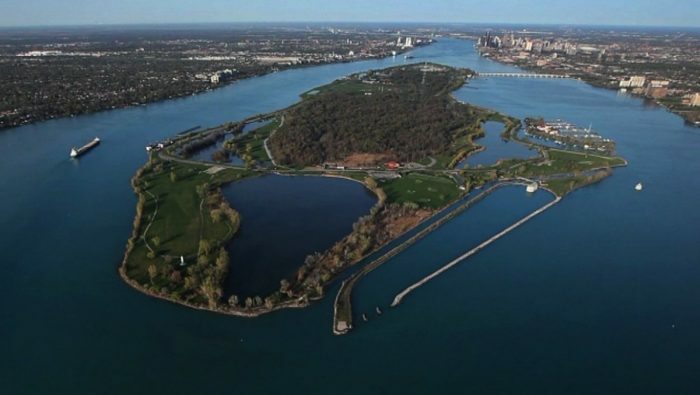 4,000 acre park around a 500 acre lake. Many recreational activities, including wonderful trails. The trail around the lake is 8–10 miles depending on route chosen. Island Lake Recreation Area. Beautiful 4,000 acre park 40 miles northwest of Detroit, 15 miles west of Novi. Tons of trails, including a 4 mile paved bike trail and several loop options. MAP of trails.